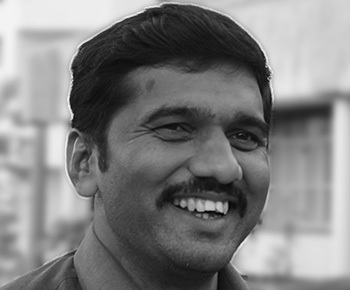 Pralhad Kathole is a co-creator of Shikshak Courses. He has been working as a primary school teacher for 14 years and has implemented many progressive teaching learning methods using the ‘Constructivist Paradigm’ in his classroom. In the year 2013, he presented his research at ‘Episteme 5’, an International Math Federation. After that he received a fellowship from ‘Observer Research Foundation‘ to document his journey as a teacher, in a book titled ‘Goshta Guruji Ghadnyachee’, published recently.